XL600R Tach and temp gauge? on this one I have more questions than answers, if anyone has the wisdom to share would be great.. I own a sweet 1987 XL600R, 30k km.. Just took her from London to Lisbon, 3000km, no motorways.. a lot of fun no problems but she didnt like the heat on the last stretch..
it has the standard speedo. the dakar version had a tachometer, no temp. I found one of these on Ebay and was wondering if the engine is the same, it should just be easy to plug in? I just cant find where it goes. 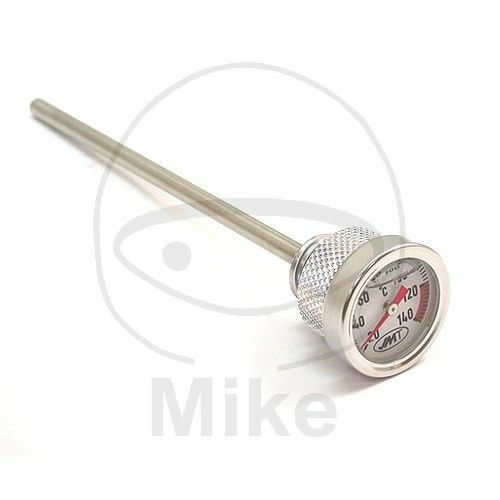 the other thing with the temp gauge, that only thing I found was the disptick gauge option. And get a Trail Tech Vapor gauge. Youll like it better than that one . You might want to put the dipstick thermometer in boiling water when you get it to see if it's even in the neighborhood of reading correctly.